Two for a Monday, the first Utopia – Sunshine Life (Beatconductor Dub) starts on a funky tip with a heavy synth bassline and a “Now that we found love” type vibe going on then going into a nice 70’s reggae thing. One to play when the sun’s out! And the second, a great mix from Phil “The Ambient Toothgrinder” Mison and Jose Padilla in tandem from many years ago in sunny Southend to stick on and blast out of the back doors in the evening when you’re filling up those beer traps for the slugs to wander into. 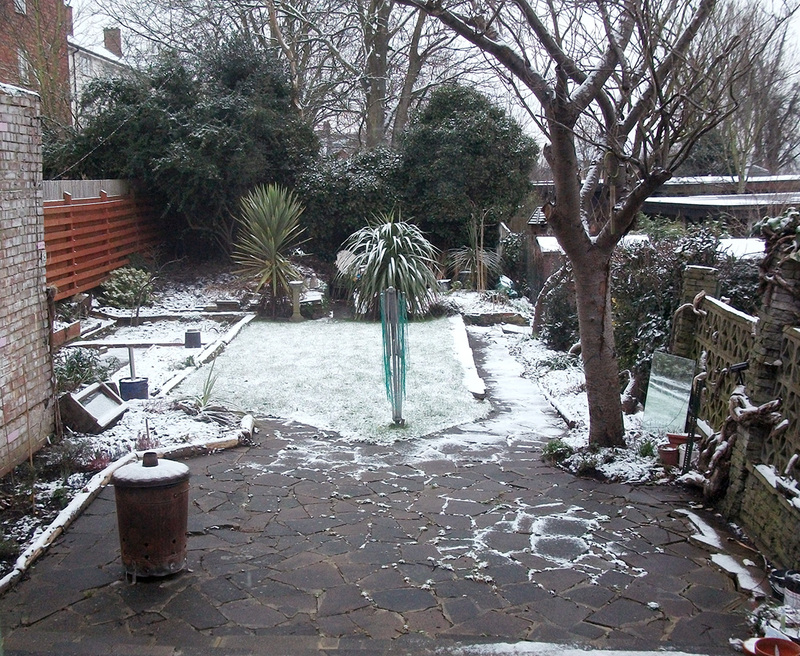 I woke up this morning to a light dusting of snow over the garden. I’ve a day off today and was hoping to tidy up a couple of beds out there if I got an hour or two, but they can now wait as you can’t see the weeds for the snow! I found out a new gardening term the other day as I wanted to buy some bluebell bulbs to stick in the bottom of the garden under the tree by the pond as it can get quite shady and I never have much luck there anyway. As I’ve long missed the autumn delivery/planting, the only way to purchase them now is when the bulbs have started growing in the spring. They’re lifted at the nursery and then transplanted to us the punters “live”, hence the term “In the green.” Roll on the spring! Big shout to the Balaganjah crew out of Tel Aviv for their excellent podcast discovered last week through a random search for “roots reggae” on i-Tunes. 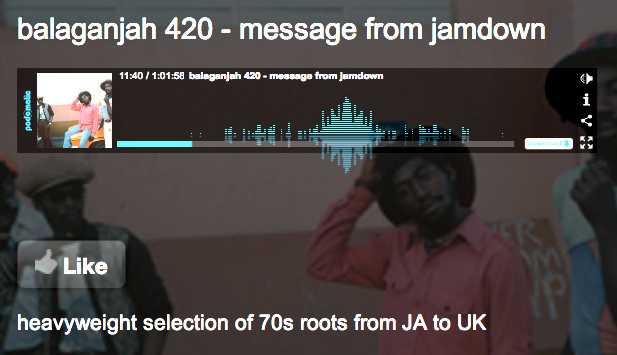 Episode 420 – Message from Jamdown has been on heavy rotation here at weeds and features some excellent 70’s roots featuring tracks previously unheard of to this ear from Rudy Mowatt “Public Enemy No.1”, Horace Martin “Unity” and Cornell Campbell’s “Keep on pushing” amongst many others. One to download here and crank up on the hi-fi!